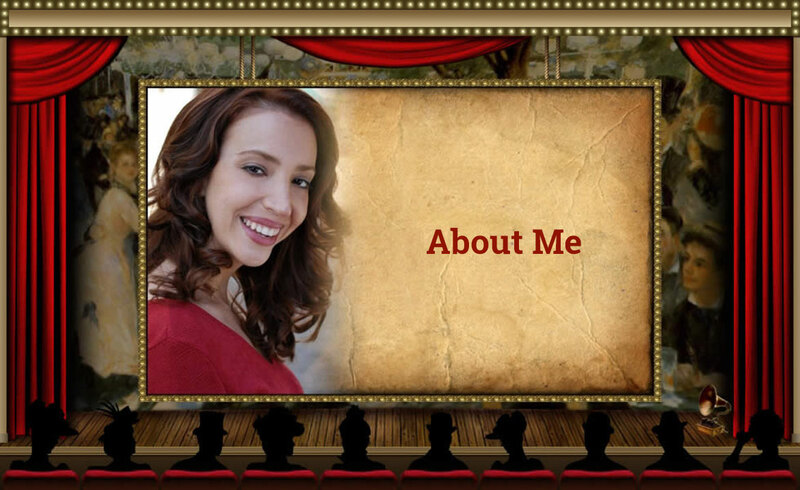 LYRIC SOPRANO, Marissa Katz, has performed lead roles in musicals, operas, and operettas across the East Coast. 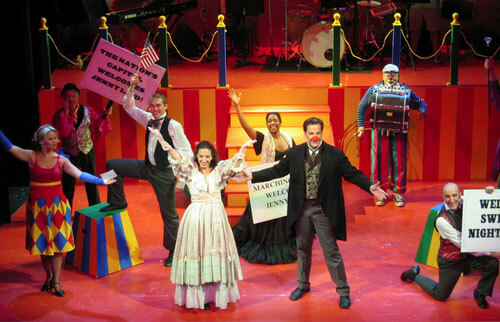 She was most recently seen as “Jenny Lind” in Playhouse on the Green’s production of Barnum, under the direction of Steven Smeltzer and Matt Schicker. Other musical highlights include the role of “Melissa Frake” in State Fair, a featured solo performance of songs from the musical Fanny at the Hudson Theatre, and cabaret performances throughout the Manhattan area. Marissa has also performed in scenes as “Magnolia” in Showboat, “Maria” from West Side Story, “Marietta” in Naughty Marietta, “Lakme” in Lakme, and “Yum Yum” in The Mikado. Marissa performed musical theatre and operatic works in concert at Carnegie Hall (Weill Recital Hall) with Pacific Opera Encore Productions under the direction of Thomas Toscano and Chloe Owens. She has also sung with Amato Opera and with the DiCapo Opera’s Young Artists Advanced Opera Seminars. Notable roles have included “Adele” in Die Fledermaus, “Papagena” in The Magic Flute, “Frasquita” in Carmen, and “Suzanna” and “Barbarina” in The Marriage of Figaro. During the summer of 2000, she was selected to perform with Orvieto Musica and sang operatic and musical theatre works throughout the North Umbria region of Italy. Her formal voice training began at the age of 14 in Long Island, New York, under the direction of Mrs. Virginia Rasmussen, and continued throughout her young adulthood. Much of her early performing experience included singing at the Manhattan School of Music’s preparatory division, through NYSSMA (New York State School Music Association) competitions and at the New York State Summer School for the Arts held at Skidmore and Fredonia Colleges. She continued her performance studies at Indiana University (Bloomington) in the Classical Bel-Canto technique with Alice Hopper, and at Boston University under the guidance of Susan Ormont. Marissa received her Bachelor’s of Music, Vocal Performance in 2001. Marissa resides in New York City and is continuing her vocal performance training with Tony Award Winning actress Victoria Clark in the Garcia-Marchesi tradition. Currently she is a Cantorial Soloist at Temple Shaaray Tefilah in Westchester, New York and continues to develop her studies of Hebraic liturgy with Cantor Leon Berger. Additionally, she has been an active private voice teacher and vocal coach in Long Island and Manhattan, New York, since 2001. “Thank you for encouraging me to live my dreams. Thank you for having faith in my voice and reawakening it. Thank you for believing in my strengths and helping me improve my weaknesses. Thank you for bringing life to voices, not just mine, but everyone whose life you touch. Thank you for listening and understanding my pains and sorrows. Thank you for sharing my happiness. Copyright 2015 Marissa Katz. All rights reserverd.